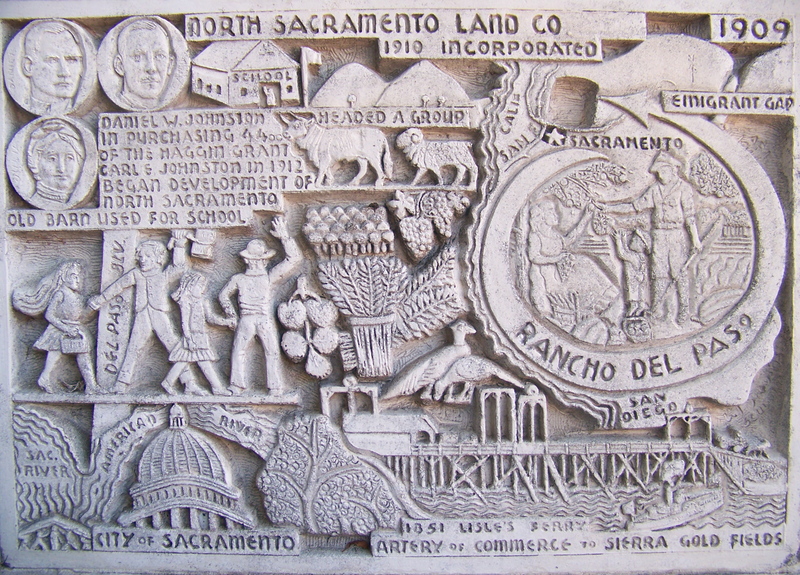 "Leading Businesses – Building Community"
North Sacramento was originally part of a 44,000-acre land grant made by the Spanish government to Eliab Grimes in 1844. 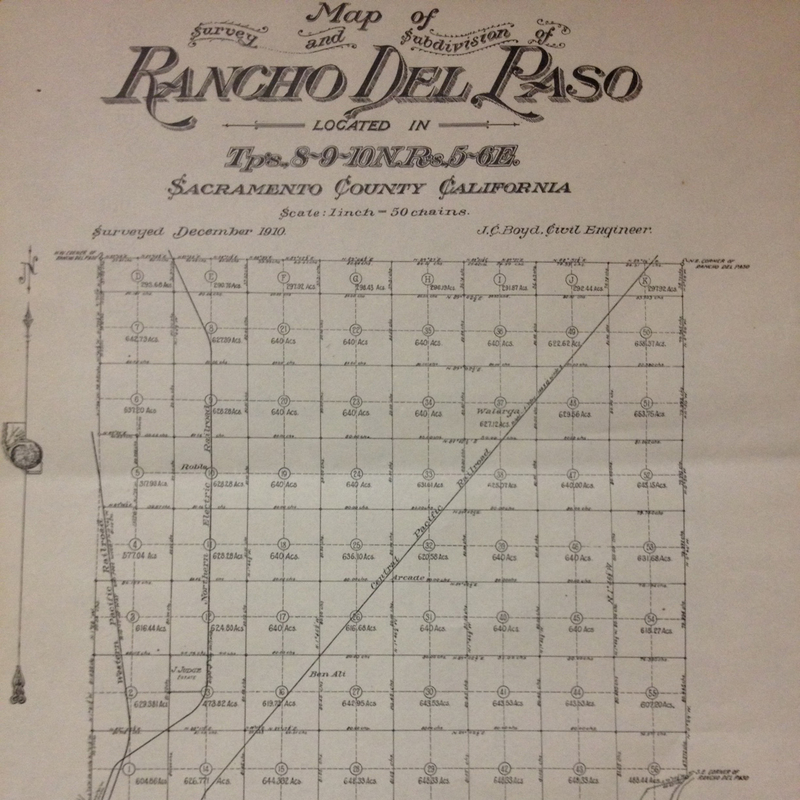 Called Rancho Del Paso, its ownership changed hands several times until James Ben Ali Haggin acquired it in 1862. Haggin converted the ranch on the property into a thoroughbred horse-breeding farm, which earned international renown, producing California¹s first Kentucky Derby winner in 1886. The area of Del Paso Heights was pasture land for horses and cattle and a flood plain area through the 1800s. Today, several streets carry the names of Haggin’s racehorses: among them are Firenza, Cantalier, Dixieanne, Empress, Bassetlaw (now Arden Way), and Salvador. Around 1900, Haggin sold Rancho Del Paso to the Sacramento Valley Colonization Company. 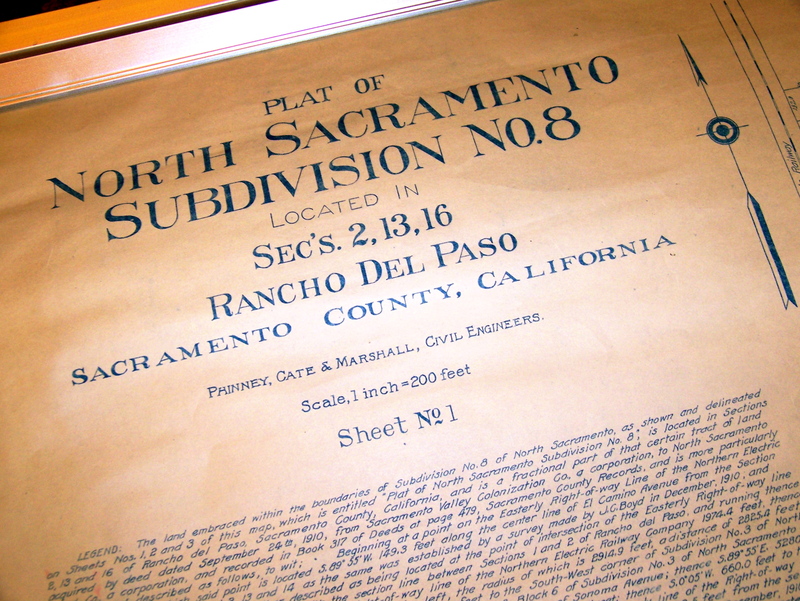 In 1910, the North Sacramento Land Company bought about 4,000 acres of this property. Daniel Johnson developed subdivisions, named the City of North Sacramento and aggressively marketed it to potential investors. Advertisements extolled the peaceful country life only ten minutes from Sacramento. In 1915, Johnson laid out a streetcar line – the Sacramento Northern, connecting North Sacramento to Sacramento, which greatly increased the activity and population of the area. The first school was built in 1915 as part of the NorthSacramentoSchool District and by 1916 there were five stores. 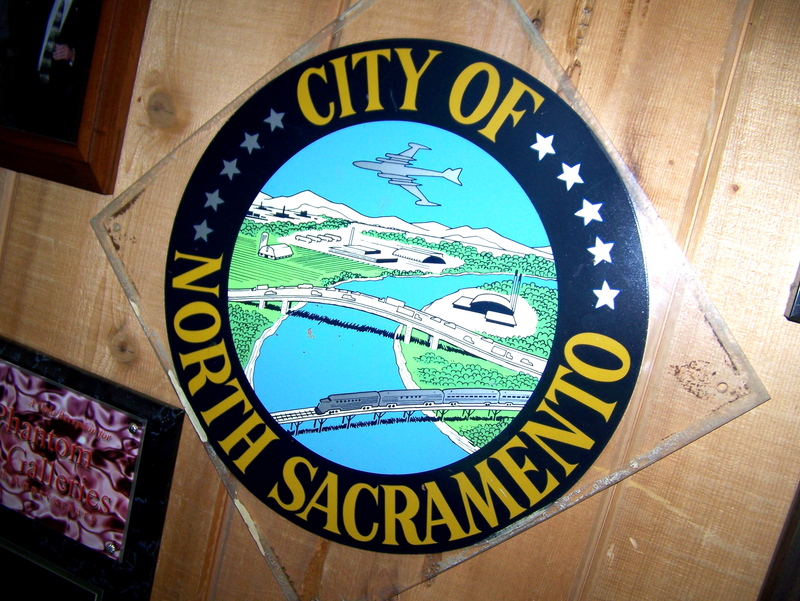 The North Sacramento Chamber of Commerce was founded in 1923, and helped to incorporate North Sacramento and form its first city Government on June 18th, 1924. Officially it was the Town of North Sacramento, a general law city of the State of California. 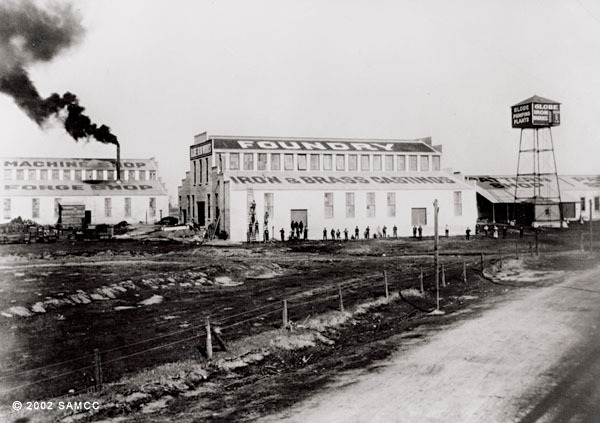 By 1930, North Sacramento was home to several large factories and plants, which employed many local residents. Two issues were frequently discussed in the 1930s: whether to consolidate North Sacramento with the City of Sacramento, and creating better flood protection. The land development of Del Paso Heights consisted of modest suburban homes, hop fields, orchards, and vegetable gardens. 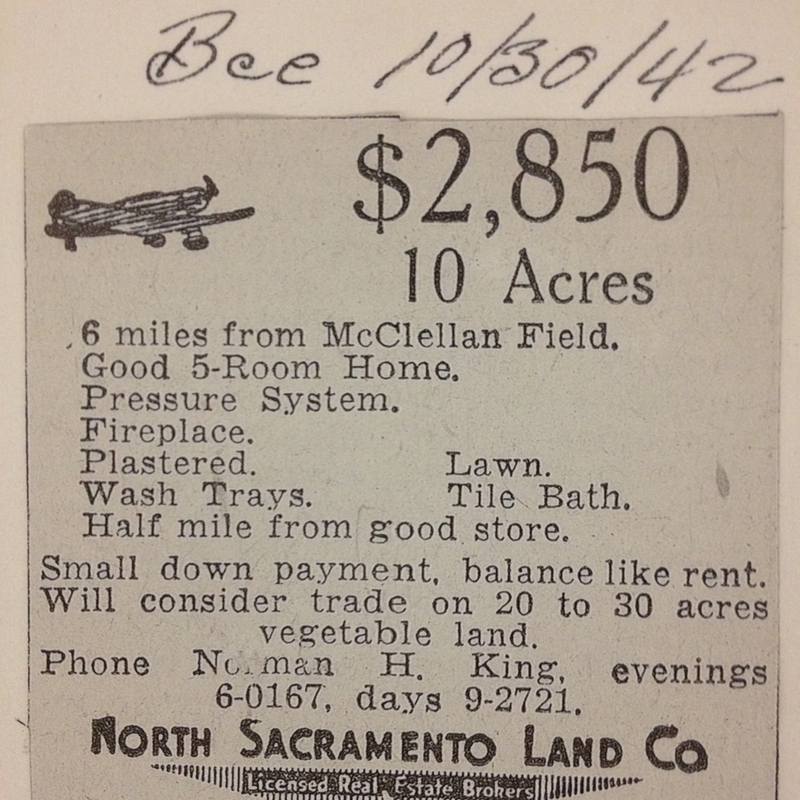 In the 1920s and 1930s many residents farmed to supplement income from their jobs in Sacramento. The GrantUnionHighSchool District was formed in 1932, establishing the first neighborhood high school. In 1934, the bridge between North Sacramento and Sacramento was widened to four lanes and Del Paso Boulevard (part of the Historic US 40 route also known regionally as the Lincoln Highway) become of the most highly traveled roads in Northern California and the business center of North Sacramento. From 1926 to 1964, Route 40 was a transcontinental highway, and during the mid-1950’s it carried more automobile traffic than any other transcontinental highway. 1998, the California Legislature designated the remnants of Highway 40 as a historic route. There are historic markers along Del Paso Boulevard. 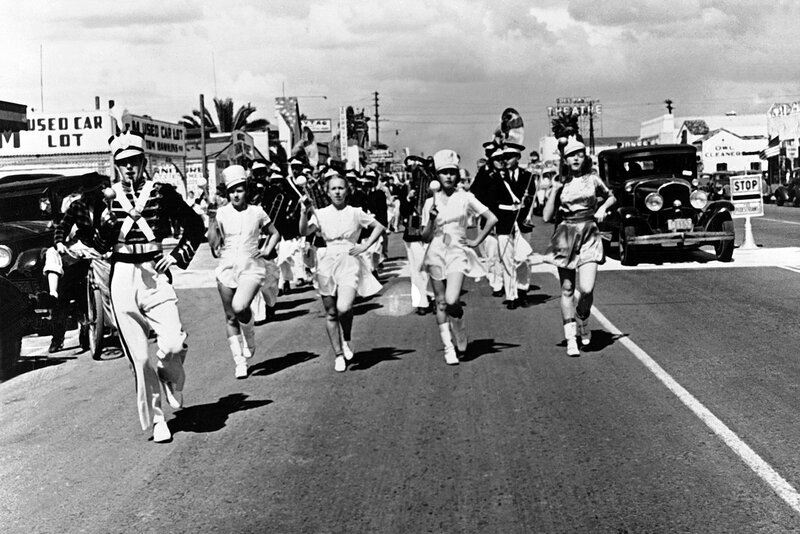 After 1948, when special lighting was installed on Del Paso Boulevard (one of Sacramento’s first lighted roads); the City regularly hosted exuberant parades that attracted people from outside the neighborhood. 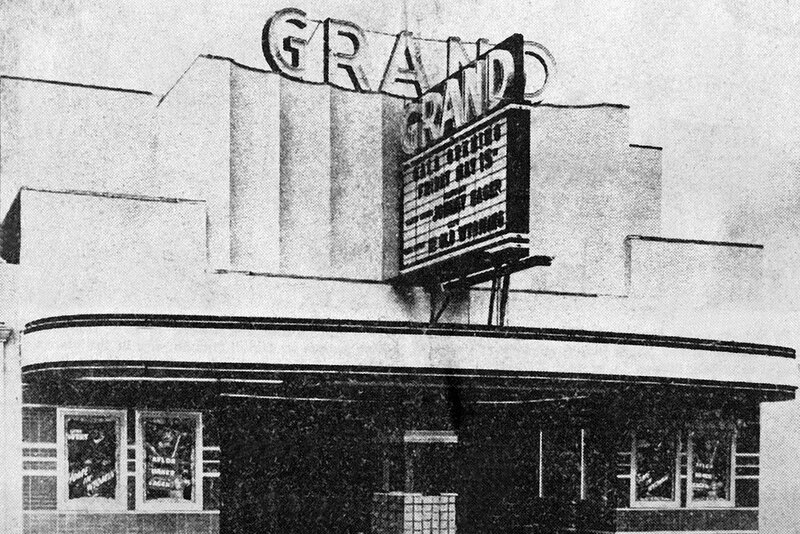 The Boulevard was referred to as the “Great White Way” due to those street lights, which the Chamber of Commerce had raised the funding for, lead by then business activist Virgil Chapman. The population of North Sacramento grew rapidly from 1950 to 1963 to more than 16,000 residents, including 25% growth from 1960 to 1963. A strong commercial base, active citizens, and new homes were the pride of North Sacramento. 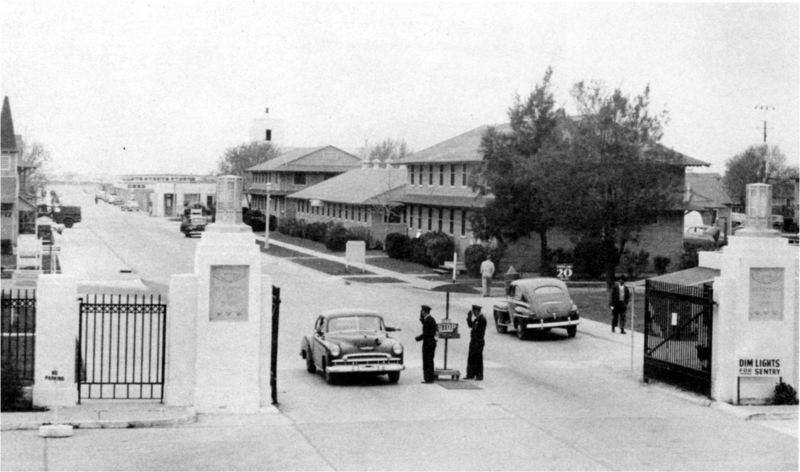 Much of the growth from the 1940’s to 1960’s can be attributed to recruitment by the Southern Pacific Railroad and activity at McClellan Air Force Base. 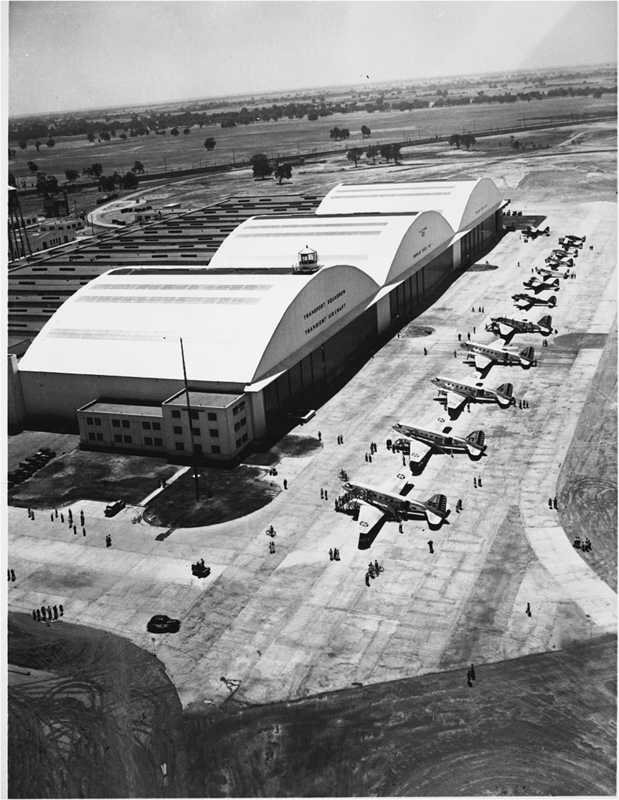 The base’s mission, from World War II through the Vietnam War era, was to repair and maintain aircrafts. Many North Area residents worked at the base and the working class neighborhoods flourished. By 1962, The City of Sacramento had completely surrounded North Sacramento by annexations (including parts of Del Paso Heights) to control its growth. 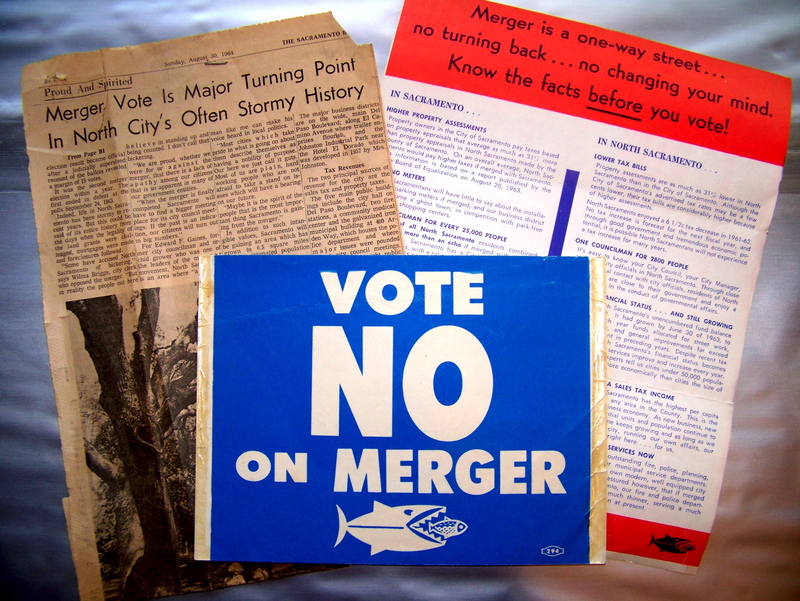 In 1964, a bitter and hotly contested consolidation election ended the City of North Sacramento by a mere 6 votes, consolidating the City into the City of Sacramento officially December 31st of 1964. In 1968 Governor Ronald Reagan opened the California State Fair at the “Cal Expo” site, which covers over 350 acres. North Sacramento has been the proud home of the California State Fair ever since, welcoming visitors from throughout the State and beyond every summer. The Sacramento Housing and Redevelopment Agency (SHRA) began investing in Del Paso Heights in the mid-1970s with infrastructure developments, street and sewer improvements, and Community Development Block Grants. Facilities for senior citizens, child care centers, and community centers were improved. Landscaping projects, removal of blighted structures, and cooperative self-help housing ventures were other initiatives. 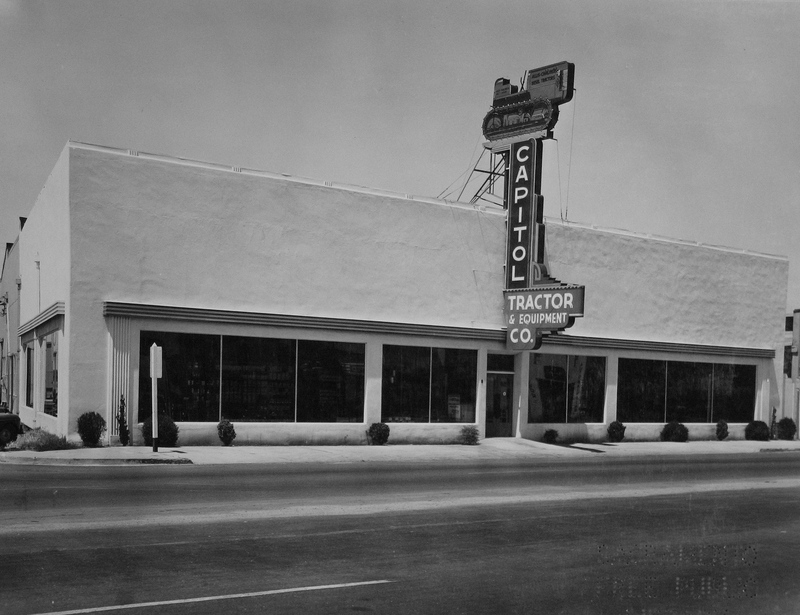 In 1987, the Chamber organized area businesses along Del Paso Boulevard, Arden Way and El Camino Avenue to form the Uptown Business Improvement District, one of Sacramento’s first, via a self assessment on their business to improve the image, cleanliness and activities in the area. The Chamber continues to administer these funds today as a benefit to the community and business district. In 1992, North Sacramento (Uptown District) became a redevelopment area. The North Sacramento Chamber of Commerce, along with residents and City leaders began developing an arts and entertainment theme for the community. In 1993, the community worked with the American Institute of Architects (AIA) to establish the North Sacramento Special Planning District. Know more? Let us know your story or history tidbits about any of our great communities and we will consider adding it to our site. Images are welcome too. The Chamber is not only proud of where we are going, but also where we have come from. Thank you for being interested.